Cute girl wizard Lucy wants to join the Fairy Tail, a club for the most powerful wizards. But instead, her ambitions land her in the clutches of a gang of unsavory pirates le by a devious magician. Her only hope is Natsu, a strange boy she happens to meet on her travels. 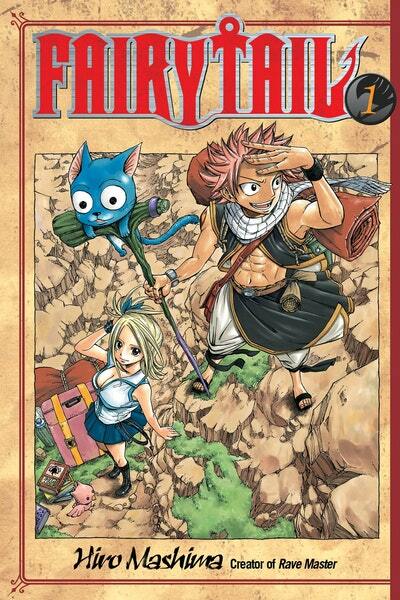 Natsu’s not your typical hero – he gets motion sickness, eats like a pig, and his best friend is a talking cat. With friends like this, is Lucy better off with her enemies? 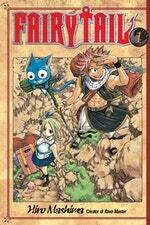 Series Overview: Fairy Tail takes place in a world filled with magic. 17-year-old Lucy is an attractive mage-in-training who wants to join a magician’s guild so that she can become a full-fledged magician. The guild she dreams about joining is the most famous in the world, and it is known as the Fairy Tail. One day she meets Natsu, a boy raised by a Dragon who mysteriously left him when he was young. Natsu has devoted his life to finding his Dragon father. When Natsu helps Lucy out of a tricky situation, she discovers that he is a member of the Fairy Tail magician’s guild, and our heroes’ adventure together begins. Love Fairy Tail 1? Subscribe to Read More to find out about similar books.